Edith Devis was a prominent businesswoman in Royal Leamington Spa in the 1920s and 1930s. She was born Edith Clark in Brigg in Lincolnshire in 1882. She moved to the Midlands in the early 1900s and in June 1906 she married Walter Dowding who had been the landlord of the Golden Fleece in Loughborough since 1893. The wedding was at the Emmanuel Church in Loughborough. They moved to the Union Hotel in Hinckley and then to the Bull Hotel in Nuneaton. Edith started her own business and ran the Empire Café in Nuneaton and later she added a bakery and wine and spirits business. Sadly, in a rare aberration, she was found to be using margarine on buttered scones and was fined £1 with £1 costs in 1916. In April 1923 Edith divorced Dowding on the grounds of cruelty and adultery and she soon moved to Leamington. The drinks licence of the Bath Hotel, Bath Street, Royal Leamington Spa was transferred from Frank James to Stephen Monroe Devis in October 1923 when Mr Devis owned it with Edith Dowding and William Pownall. The business empire then began to expand. In 1924 Edith Dowding applied for permission to build a cinema in Spencer Street. It appears that this was initially to be project for William Pownall with Mrs Fowler of the Blue Café but this partnership lasted but briefly. The cinema opened in 1925. Edith later owned this cinema with William Pownall. 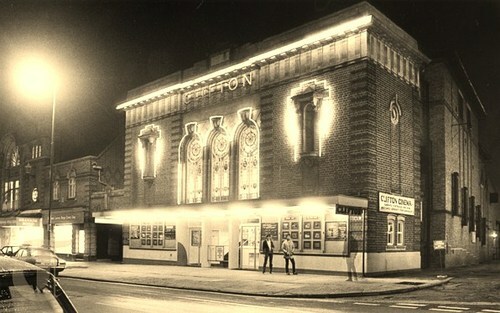 After a later sale in 1936 it became the Clifton cinema. In April 1924 Edith applied for permission for a Bakery at the Bath Hotel. This became the Bath Fancy Bakery. In August 1925 Edith was involved in a court case when she sued Mrs Fowler, over a cinematograph machine that had been loaned to her but not returned. In May 1927 Mrs Dowding applied for a drinks licence for the Bath Assembly as it was built in Spencer Street. This was owned by her Bath Garage and Entertainment Company. The hall was first marketed as The Palais de Danse and was opened in June 1927 by Lt Gen Sir John Keir and was the first building in the town to be devoted entirely to dancing. The Bath Assembly Hall and the adjoining restaurant and garage and the Bath cinema were all designed by local architect Horace Bradley. By this date Edith Dowding was running a least four businesses, the Bath Hotel, the Bath Assembly, the Bath Cinema and the Bath Fancy Bakery. In October 1927 she applied for additional bedrooms at the Bath Hotel. There were three people in control; Edith was the chairman, William Pownall was the secretary and Monroe Devis was the third director. 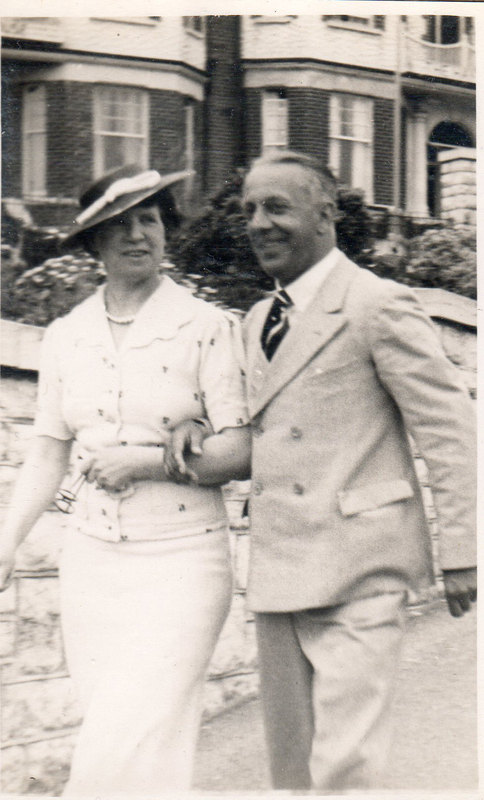 On 17th January 1929 Mrs Edith Dowding married Stephen Monroe Devis, who we have noted was one of her business partners, at the Parish Church. At this stage William Pownall’s share was probably purchased and Monroe Devis (as he was usually known) became the secretary. The Bath Cinema Company went on to build the Regal Cinema in Portland Place East which was again designed by Horace Bradley and it opened on 14th September 1931. The Regal Cinema was noted as being the only cinema in the country to operate an Italian Barbieri organ; this had been purchased following a demonstration at the Milan Odeon Cinema in 1931. 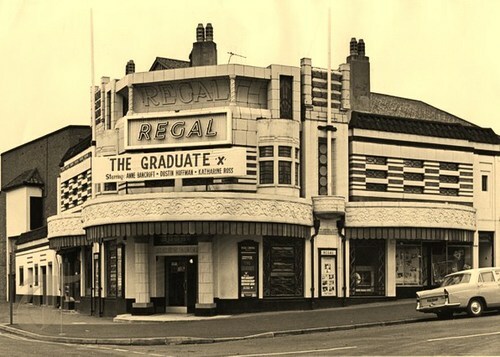 The Regal Cinema had an initial seating capacity of 1,305. In 1932, the owners of the Scala Cinema in Bedford Street, became bankrupt and the cinema was bought by Edith’s Bath Cinema Company, refurbished and reopened with talking films. 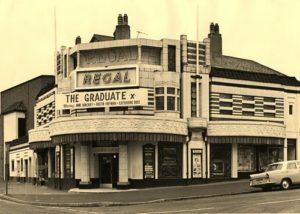 In 1936, their Bath Cinema Company purchased the Regent Cinema which had recently opened in the old Theatre Royal in Regent Grove, finally owning all of the four cinemas in Leamington. Edith launched a proposal for a cinema at Eastgate, Warwick in 1936, but this was not proceeded with because of planning objections relating to parking. The cinema was eventually built by others in Warwick in Coten End. Edith also proposed a new cinema in Warwick Road, Stratford upon Avon but this was never built. There was a plan to start a new company to run the existing cinemas. However, in November 1936 the Bath Cinema Company finally sold the four cinemas and the two sites for new cinemas in Warwick and Stratford to Captain George Clift of the Clifton Cinema Group based in Birmingham for between £110,000 and £150,000. The Devises decided to retire and in addition to selling the cinemas they also sold the Bath Hotel to Charles Brettell, late of Holt Brewery, in January 1937. They had lived at the hotel during their time in Leamington. It is not known exactly when the Devises sold the Palais de Danse, but it is thought that when they retired in 1936, they leased it to a new operator. Throughout their time in Leamington, the Devises had supported local charities and sports clubs generously. The couple moved to Bournemouth in March 1937 and lived in a suite in the Burlington Hotel. Sadly, Monroe Devis died of meningitis in November 1937 aged only 49. Edith continued to tend her business interests and in June 1939 she failed in a legal challenge to the amount of architect’s fees for several of the properties built some years before for the companies in Leamington. It is important to mention that in 1935 the Devises had bought a large house in Tiddington, Stratford, named Rivermead. In 1945 Edith donated this house to Warwickshire County Council to be used as a Maternity Home. The Home later became an NHS Maternity Hospital and at Edith’s request was called the Monroe Devis Maternity Hospital in memory of her husband. The hospital operated until 1985 when it was finally closed and the site used for housing. Edith continued to live in Bournemouth and became a local benefactor providing substantial funds and her own involvement to local charities. In January 1951 a car which Edith was driving was in collision with a bus in Bournemouth and she died aged 68. In her will the majority of her estate was donated to charity. Compiled with invaluable help from Terry Clark, grand-nephew of Edith Devis.